Google's MNVO Project Fi has been somewhat restrictive when it comes to offering phones on its network. It has primarily offered Pixel and Nexus devices, while the only other offerings have been mid-range Motorola phones. Today Google is announcing the LG G7 ThinQ and the LG V35 on its network and even giving $300 service credit to anyone picking one of the two devices. The credit goes towards the monthly $20 for unlimited talk and text, as well as $10 per GB of data. There is also $80 Bill Protection that is effectively an unlimited plan. Google notes that the credit will appear 45-60 days after activation. 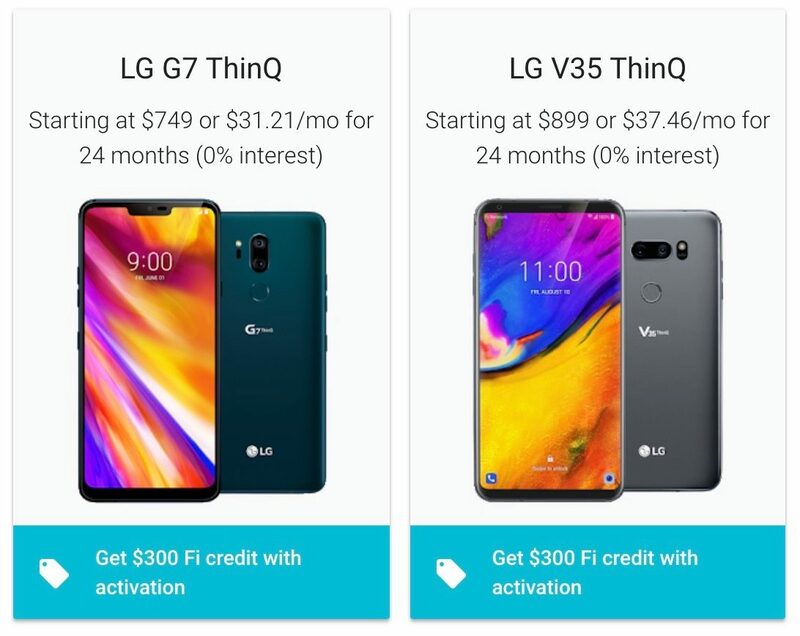 There is a one device per customer limit with the LG G7 costing $749, while the more premium V35 is $899. This brings the price down to $449 and $599, respectively with the discount, which is quite a generous price for a flagship smartphone. 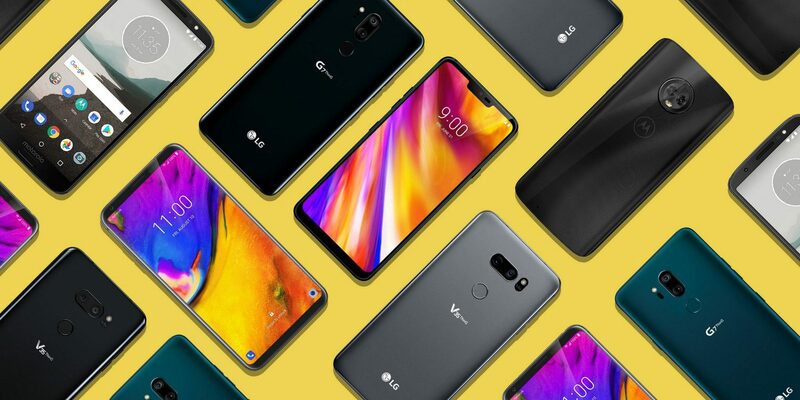 The LG G7 ThinQ features a 6.1 inch display, 64GB of internal storage with microSD expansion, dual 16MP rear cameras, an 8MP front camera with dedicated flash, a 3000mAh battery and a Snapdragon 845 CPU with 4GB of RAM. The LG V35 comes with similar features with a 6-inch pOLED display and a slightly larger 3300mAh battery. Both devices are expected to begin shipping later this week, and purchasing one today will get the device in your hands within a couple of days. The deal starts today and will go on until July 29th or while supplies last. Those who previously ordered for a $100 service credit received emails this morning that note how they’ll receive an additional $200.